Jeannette Barczak has worked as a Pediatric Cardiology Nurse for the past 20 years specializing in pediatric heart surgery, pediatric intensive care, and perinatal cardiology. As a nurse, Jeannette has recognized the importance of stress management for patients, healthcare professionals, and families. Throughout her nursing career, Jeannette has experienced the powerful effects that touch can have on a person. 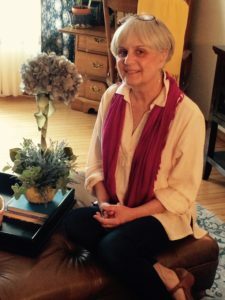 Since 2006 Jeannette has studied Healing Touch (HT) and has furthered her education by studying the enhancement of HT using Clinical Aromatherapy. A typical session is administered while the client lies fully clothed on a treatment table. Using light touch, Jeannette assesses the client’s energy field and clears and balances it as needed. An average session may last anywhere from 20 to 60 minutes based on the client’s needs. Deborah was born in Chicago, IL and early on, took the role of a caregiver, first in the field of nursing, then as a mother of 4 sons. Deborah developed the concept of Whole Health Network after years of intense training and practice. She is a 20+ year bodywork therapist veteran, and specializes in custom ized programs based on each individuals needs, incorporating Colon Hydrotherapy, Lymphatic Massage, and Reiki therapies. 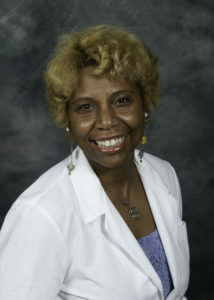 She has practiced in Tennessee, the Caribbean and currently practices within the Ayre Clinic for Contemporary Medicine as an expert in the area of deep tissue massage. Deborah received her professional certification through the American Massage Therapy Association (AMTA) and International Association of Colon Hydrotherapy (I-ACT). Smita Shah has been practicing Holistic Medicine for over 15 years with great success. She has studied a variety of different modalities to assist people in resolving health issues and increasing well-being. Smita is a Board Certified Licensed Acupuncturist and offers Acupuncture, Biofeedback, Reflexology and uses modern and ancient technology to balance and support physical, emotional, and spiritual harmony.